How Much Will You Spend on Valentine's Day This Year? Valentine’s Day is once again approaching. 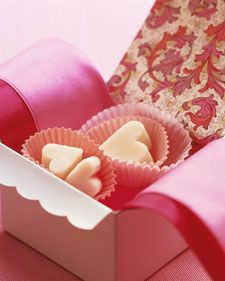 According to Marketing Charts, the average Valentine’s Day participant will spend $130.97 this year on gifts. This is an increase from the average $126.03 spent last year. In total, Valentine’s related spending is expected to hit $18.6 billion, which is more than $17.6 billion spent last year. According to the statistics reported on the site, men spend more than twice as much as women for Valentine’s Day, and people are more likely to spend the largest portion of their budgets on significant others. This probably comes as no surprise to you. And, the numbers suggest a certain amount of pressure to make February 14th a “special” day. Do You Have to Give In to the Hype? Some of the most common ways that consumers spend money for Valentine’s Day include buying candy, flowers, and greeting cards. And, of course, many feel pressured into a romantic dinner. Planning Valentine’s Day isn’t just expensive sometimes; it can also be stressful. My husband and I are fairly lucky in that we don’t have to plan our Valentine’s Day activities out. They are pre-arranged. Every year, a scholarship fund set up in honor of my great-uncle holds a dinner and dance around Valentine’s Day or President’s Day. It’s built in, and no stress. We usually order flowers ahead of time, getting them 10 to 14 days before the big day, so that they are inexpensive. They sit on the table as a centerpiece (although this is far from “special”, since we usually order flowers for the table three to five times a year). It makes our Valentine’s Day easy to plan, and it ensures that the cost is fairly set. Even if we didn’t take this approach to Valentine’s Day, we probably still wouldn’t get into the hype. We’ve never been big on anniversary gifts or big birthday celebrations, so it’s not likely that we’d get that into Valentine’s Day, beyond getting a few things for our son. We give him some candy, a book, and maybe a new game or LEGO set. But we don’t go out of our way. Instead of trying to use money as a way to show your significant other how you feel, and spending it for Valentine’s Day, think of ways that you can enjoy each other all year. While it can be fun to set Valentine’s Day aside for romance, the reality is that it seems to be an excuse to try and quantify your love with a dollar amount. If the gift isn’t spectacular enough, or costly enough, it seems to indicate that you just don’t care. Instead of giving into that line of reasoning, think of inexpensive ways that you can show your love and devotion to each other year round. While money is nice, and gifts can show thoughtfulness, the truth is that money isn’t everything, and a high gift budget isn’t the same thing as true affection. Think about why you are spending money for Valentine’s Day, and ask yourself whether it will really make a difference in your relationship. Do you spend money for Valentine’s Day? How much do you plan to spend on Valentine’s Day?